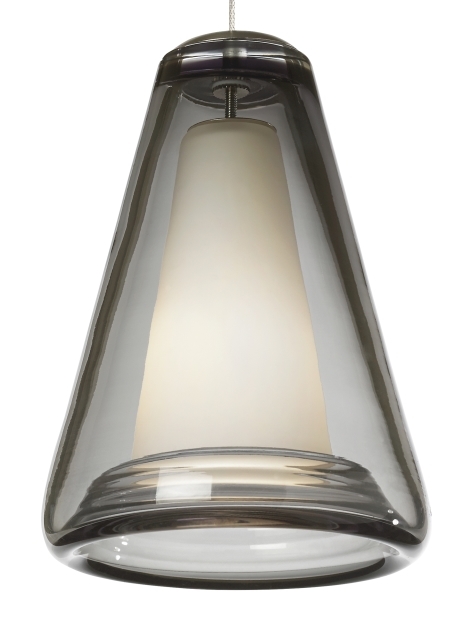 The Billow pendant light from Tech Lighting is a delicately designed hand-blown glass pendant. The Billow features a unique rippled inner lip which meets the case glass inner shade as it softly diffuses the light. This elegant cone shaped pendant comes in three modern colors, including a beautiful ocean blue, along with three on-trend hardware finishes. Due to its modest scale the Billow is ideal for kitchen island task lighting, bathroom lighting flanking a vanity and bedroom lighting flanking two end tables. The Billow ships with your choice of Halogen lamping saving you both time and money. Pair the Billow with the Monorail system by Tech Lighting for greater design customization in your special space.